There are in the scriptures fascinating doctrines. One of those is surely the doctrine of the translation. This doctrine is directly connected with the doctrine of the resurrection, the only difference is that the body is in a different state, like frozen, it is not subject to the death, but the death one day will come, but it maintains all the prerogatives, Authority, power, keys and so on but with a difference the person in question is not under temptation. Trying to give you the best idea about this I will copy one page from Keith H. Meservy from his commentary of Doctrine and Covenants 7, 74 77. I do this because his English is perfect. Although the time would come when John and the 3 Nephites would make the transition from mortality to immortality, Jesus promised them that they would never "taste of death" or "endure the pains of death". For them the transition from the one state to the other would occur as quickly as the twinkling of an eye (3 Nephi 28:8), this is at the time of the second coming. In addition to not tasting death, they were also promised that the hurtful effects of the fall would not be felt by them. Each of these four men, of course, came into a fallen world, subject to the conditions common to everyone else. But, once they had proven themselves and once the Lord had given them permission to remain on the earth beyond the normal time of testing, it would be unthinkable to believe they would be required to endure the problems incident to a fallen mortal world- sickness, disease, and temptation- during the approximately two thousand more years that they would be here on the earth. Thus, the promises made to the three Nephites are very significant for understanding what happened also to John, because for them and, supposedly for John, the basic effects of the fall were circumvented. At a certain point in the lives of these men the natural process was stopped. This effect of the fall of Adam is being held in abeyance for them until Christ comes again, at which time they will be made immortal instantly. 4 Sanctification in the flesh. 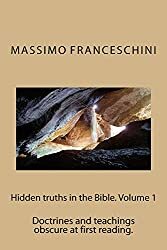 These peculiarities put the person under the best conditions to be a perfect messenger of the truth, authority and power for Our heavenly Father. Was Jerusalem part of this process? We can't prove for sure but there are many indications that maybe that was the case. The scriptures mention many people translated: Enoch, Eliah, Moses and others that Jesus mentioned in the Bible and in the Book of Mormon. 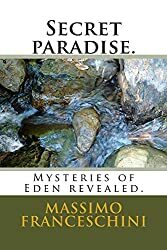 For the traslation of Moses I suggest you to read: Did Moses dye or..
Let's analyze briefly the purpose why the Lord uses this means in His plan. Probably what happened on the mount was similar to this. it shows us that Jesus tried to ghater his people, they didn't accept it and this is a proof that the Lord needed to try in the last days, like prophesied in the scriptures, to gather their chosen people. Is it not interesting that the Hebrew started again to gather in their places after an Apostle of the Lord rededicated their land for a new gathering last century? We need to go to analyze better Melchisdec and Jerusalem. Were they traslated? do we have some clues regarding this? Why ? We think that being Melchisedec the most important priest, after Christ, in the old Testament, and this is easy to prove, every prophets after him received his authority and power by him or by the people that received by him, and he was so honored that the name of the priesthood bring his personal name. We have now to consider the background about his time. The Earth was baptized from the flood, The Lord promised that never another flood could happen the Bow in the sky was his promise. It is interesting to see that the bow joins the earth and the heaven in a semicircular form meaning that the earth and the heaven are witnesses of this covenant, this is important because mother earth was part in cause by the flood and the heaven too because the waters came down from the sky. Having said this we have to keep on mind that God knew that there will be more apostasy, infact it is easy to see that after few years the mankind was trying to build a tower to escape another flood, that means that they didn't trust the promise of God because they didn't believe in God. It would be interesting to analyze the story of Nimrod, the builder of Babel, but probably in another talk. So God was aware that the mankind wouldn't have been not changed too much. So God was taking in reserve people for the time of spiritual famine. When Jesus came the Jews were in total apostasy. We have the evidence when they didn't accept the Gospel, the Gospel was given to the gentiles and the priesthood was changed and it was not by chance that Jesus cursed the Fig tree few days before His death. From whom Jesus received the Melchisededc priesthood? We don't know, the scriptures don't mention it, but surely not from the Jews,, they didn't have it at all. Did you ever notice that in the scriptures, even in the scriptures of the latter days we don't have any mention regarding the set aside of Joseph in the melchisedec priesthood? We have the story for the aronic priesthood but not for the Melchisedec. Surely it was a greater priesthood it would have been stupid to look for a lesser priesthood or the same priesthood, right? We suppose that Moses received his priesthood from Jetrho, that BY chance was a descendant from Abraham and the scripture said that he was an High priest. Regarding Jetrho we have to keep on mind that Moses found the Lord when He was living under the tent of Jetrho, Jetrho had a great part in his spiritual formation. Moses abandoned Egypt because he knew that God had a purpose for Him see Hebrew 11:24-27. He didn't know exactly God was seeking from Him but he knew that God had a plan for him. Was by chance that he Found Jethro? I don't think so!! He was driven to an high priest, a right believer of God. He stayed 40 years before to begin his mission, do you really believe that an high priest dint teach anything to him in this period? and at the end of this period Moses was ready to meet the Lord. I believe that the fact that we don't have any scriptures regarding the setting aside of the people in the Melchisedec priesthood is because is something too sacred like teh ordinances of the Temple. God has His personal privacy. Coming back to Melchisedec, probably he was traslated for more than one reason, probably God used Him to restore the keys or the priesthood to transit to the Son of God, but we don't have any record to support this idea, so we don't consider this too much. I truly believe that Jesus received the keys of the Melchisedec priesthood from God Himself, this is a custom in our church and I believe that the Father didn't miss this opportunity, it is true that God the Father had no more relationship with the mankind after the garden of Eden but Jesus was a very special and different case, He was not only Human He was divine too. Anyway for certain keys God needed t send traslated being like Moses and Eliah, only the traslated beings could do that. Jesus was baptized from a man John the Baptist. He hold the right autorithy for that, The Jews were asking for that to him. Jesus like man should follow the whole path like other people. He explained that concept to John when he was refusing to baptize Him. God gave the priesthood in the garden of Eden to Adam when He gave them the garment made of skin. Ham was cursed from Noah for that reason when He took his garment. When the man was driven out from the garden of Eden, the mankind was excluded from His presence. Jehowa, the Son was the only mediator given to the mankind, but He was a spiritual character. The apostasies were foreseenand feared, like for the famine wise people take in reserve something, God was doing the same. Let's consider the characteristic of those people according to the explanation in the Book of Mormon 3 Nephi 28:12-30 but the most intriguing thing is contained in the verses 36-40. This is the key. If there was no change they will be under temptation subject to fall and lose the autorithy and keys, like always happens when an apostasy will happen. God couldn't have this kind of problem. His purpose was even to preserve the seed of the priesthood and his keys in time of need. Those people were FROZEN when they were at the top of their capacity, spirituality and power. Let's analyze the story of Jerusalem. so by this it is possible to understand that Melchisedec had the Gospel. The Hebrew tradition identify Sem in Melchisedec (see dictionary biblical Smith) It wouldn't be the first time that God changed the name of an important person, it was the same with Abraham, Jacob and so on.Melchisdec seems a title more than a name, it would have be very strange to put a name like this to a boy.Sure we could think that was a blessing hoping to be fulfilled. Anyway we are not maintaining that Sem and Melchisedec are the same person, there is no proof. I am only trying to collect clues and nothing more. It is not important to know if they were the same person, it is important to know that the priesthood came from Noah by Sem. It is interesting that also for Melchisedec in the scriptures there is not his setting aside. Surely there was a relationship between Sion and Jerusalem. The scriptures relate them. Isaiah 2:3 Isaiah 4:3-5 Isaiah 33:20 Jeremy 31:6 Hebrew 12:22-24. Leaving aside Sion we try to track Jerusalem. The foundation of this city was after the flood. Abraham was born about 2022 a.C. Abraham met Melchisedec after been in Egypt and before the destruction of Sodom an Gomorra. We know that he left Charan before to go in Egypt when he had 75 years old therefore in 1947 a.c. He was circumcised when he was 99 years old after the meeting with Melchisdec, but since we know that other 10 years were gone according to Genesis 16:3 the meeting between those 2 persons happened between when Abraham was 75 years old and 89 years old. So Melchisede and Jerusalem were on the earth during 1957 a.c. and 1947 a.c..Was the mount Moriah part of Jerusalem, everything is for yes. Was the place for the Temple of salomon, still it seem was without inhabitants when Abraham brought his son for the sacrifice. It is true that the cities were smaller at that time, but Jerusalem should be around the mount Moriah. Anyway the most important clue is when Abraham was looking for a wife for his son Isaac, why he should send his servant in his homeland to take a wife for his son? why didn't send his servant to the closer Jerusalem, the city of peace of which his king was like a bishop for him? probably the answer could be: because there was not Jerusalem anymore. Even though the Israel was the chosen people we know by the scriptures that the priesthood was held even from persons not descendant from Israel but descendant from Sem or Abraham, we have the case of Jetrho and Balaam Numbers 22 Deuteronomy 23:4-5 Joshua 24:9-10 Nehemiah 13:2 Numbers 31:16 Joshua 13:22 Michah 6:5 2 Peter 2:15 Judas 1:11 Revelation 2:14 and what about the 3 wise men coming from the east? 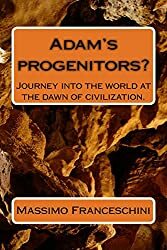 For those I suggest to read "Master's page"
These colonies of priesthood were everywhere, we have received the dead sea scrolls by a people in the wilderness few years ago. They had several different purposes in this case to preserve the scriptures for the last days. Or to preserve the priesthood outside of the world. Those communities lived like John outside of the world to maintain their purity they were self-sufficient and different from the monkeys they had their own families. Satan had few power against them because they were living only for the Lord. John the Baptist was preaching in the wilderness and Jesus stayed 40 days before to start His mission to have to companionship of the Holy Ghost. For me it is not by chance that Melchisedec was in charge in this city and that the priesthood took, his name they are in heaven awaiting to come back. For me that celestial Jerusalem is the Jerusalem of Melchisdec.